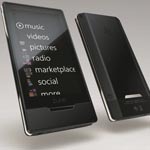 Microsoft has slashed price of zune HD to boost its sale and give more competition to Apple iPod. The price of 16GB Zune HD has dropped from $220 to $190, and the price of 32GB Platinum Zune HD has fallen from $290 to $250. Now the price of zune HD is very less compared to Apple iPod. storage capacity. Like price of 16GB zne HD is $10 less than price of 8GB Apple iPod.